Out of the ashes of the U.N. climate conference in Cancun, Mexico, in 2010 rose a stick to beat erring nations with: To avoid the worst climate impacts, the world must keep its temperature increase below 2 degrees Celsius (3.8 degrees Fahrenheit) above preindustrial levels. Since then, some scientists have said that goal cannot be achieved unless it is done in a future energy utopia. Others have questioned whether big climate agreements by the U.N. Framework Convention on Climate Change (UNFCCC) even work. The arguments have been simmering, and two groups of researchers brought them to the surface this week. In a commentary in the journal Nature, David Victor, a professor of international relations at the University of California, San Diego, and Charles Kennel, a professor at the Scripps Institution of Oceanography at the same university, wrote that the 2-degree goal should be ditched altogether. Meanwhile, William Nordhaus, a professor of economics at Yale University, proposed a non-UNFCCC framework to tackle climate change. He spoke yesterday at the National Academy of Sciences in Washington, D.C. The UNFCCC is a global environmental treaty set up in 1992 to tackle "dangerous anthropogenic interference." Nations that were parties to the UNFCCC agreed to reduce their emissions in 1997 under the Kyoto Protocol. And in 2010, at Cancun, nations agreed on the 2-degree warming goal, couched in arcane language: that the world recognizes that emissions cuts are needed, "with a view" of limiting temperature rise to 2 C.
In 2012, the Kyoto Protocol expired, and in all this time, the world has done very little to tackle climate change. The United States decarbonized last year at roughly the same rate -- 2.3 percent per year -- that it has since the 1970s, Nordhaus said. "After all this work, after all this negotiation, after all these meetings, after all this prodding and sermonizing, at the end of 2012, for all purposes, it [the Kyoto Protocol] died," Nordhaus said. "From 1997 to today, we've made no progress." Where did 2 C come from? The 2-degree target was primarily a political invention, said David Victor, a scientist who has followed the UNFCCC negotiations closely since the treaty's inception. He analyzed the 2-degree warming goal for the latest report of the Intergovernmental Panel on Climate Change (IPCC). The target first emerged around the 1997 Kyoto talks, he said. Back then, it was seen as something nations could achieve. "That was before the complete surge in the U.S. economy, that was before the explosive growth in the 2000s in the Chinese economy," he said. 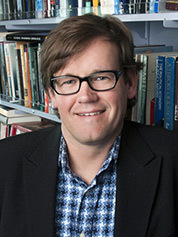 University of California, San Diego, international relations professor David Victor. Photo courtesy of UC San Diego. The target was formally adopted in 2010 primarily because political actors and nongovernmental organizations in Europe pushed it, he said. The number was easy to wield as a "tote board" to drive policy. "The idea that this is a goal coming cleanly out of the scientific community is not an accurate telling of the history," he said. "What really happened in the history was people wanted to get a simple goal to beat up on the government to adopt policy." Victor's major problem with the target is that the world probably cannot achieve it. The IPCC's latest report shows that under business-as-usual conditions, temperatures will likely rise by 3 to 4 C above 1990 levels by 2100. To keep temperatures below the 2-degree threshold, the world would have to capture and store more carbon than it is emitting. Nations would have to stop relying on the energy systems of today and implement carbon capture and storage, and their residents would have to drive only electric vehicles (EnergyWire, Dec. 19, 2013). When Victor presented the findings from his literature review that the 2-degree goal may not be met to the IPCC, he faced "a firestorm of criticism." "I realized that this has become an area that it is no longer feasible to talk openly and completely about what the science says because it has become an almost religious commitment to this goal," he said. "We in the scientific community are, frankly, misleading policymakers in telling them that is still feasible." In the Nature commentary, Victor and his colleague say that better goals, or "vital signs" for the planet, are needed. For example, they say temperatures in the Arctic, which has been warming rapidly, would serve the purpose. So, too, would a volatility index that would measure risk from extreme weather events. These indicators are not yet fully formed, but the scientific community should work on formulating them, they wrote. It's not that Victor is opposed to a temperature goal, but there may be other targets that are better linked to human stressors in the long term, he said. The commentary set off a furious exchange online (here and here) between climate change experts. Michael Mann, a climatologist at Pennsylvania State University, said that the 2-degree warming goal should not be discarded, since so much work has been done to motivate people on this objective. "Sure, it's possible that we will fail to stabilize temperatures below 2C warming even given concerted efforts to lower our carbon emissions, but simply discarding this goal would make failure almost certain," he said via email. In his book "The Climate Casino: Risk, Uncertainty, and Economics for a Warming World," Nordhaus of Yale University finds that a 3-degree target might be more realistic than a 2-degree target. Yesterday, at the National Academies, he argued that action on climate change would be best achieved outside a global treaty like the Kyoto Protocol. The problem with such treaties is that they allow nations to be free-riders. They can receive the benefit of a public shared good without contributing to the costs, he said. That's because the Kyoto Protocol does not penalize nations for not abiding by its dictates. For example, Canada withdrew from the Kyoto Protocol in 2011, and in response, all it received was a little bit of public scolding. Nordhaus proposed, instead, a "climate club." He got the idea while traveling in Europe during the Greek financial crisis in 2010. Newspapers had splashed headlines like "Violent protests as Greeks strike over austerity cuts." 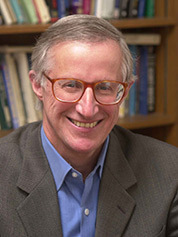 Yale University economics professor William Nordhaus. Photo courtesy of Yale University. He wondered why the nation did not simply choose to exit the European Union rather than go through the pain of austerity measures. He then realized that Greece received more benefits from being part of the club -- the European Union -- than from being outside it. Based on that realization, he proposed a climate club of nations. There would be a membership fee to join the club -- hypothetically, a fee of $25 per ton of carbon. And at the same time, there would be a penalty for not being in the club. This penalty would be in the form of international trade sanctions. The nations in the club would impose a uniform tariff on nonparticipants. "Being outside is too big a cost to their [nonparticipants'] trade regime," he said. More nations would be motivated to join if the penalty were high. And yet the penalty should be less than the price of membership. Since Nordhaus is an economist and a prolific modeler -- he likes to model on free Sunday afternoons, he said -- he computed some basics of what the membership rates of this climate club would be. He assumed 15 nations would be participating. When the price of carbon was less than $50, countries would join the club. And when the penalty tariff was 7 percent of the price of carbon, everyone would join. The club would function because nations would want to join it. They would receive benefits from it -- that is, they would not be penalized. And the club would have rules that nations would have to abide by, like in the World Trade Organization, he said. The only requirement would be that a handful of big and powerful nations would have to want to create this club. They would have to recognize the failure of Kyoto and want a change, he said. "We need to want to do it," he stressed.